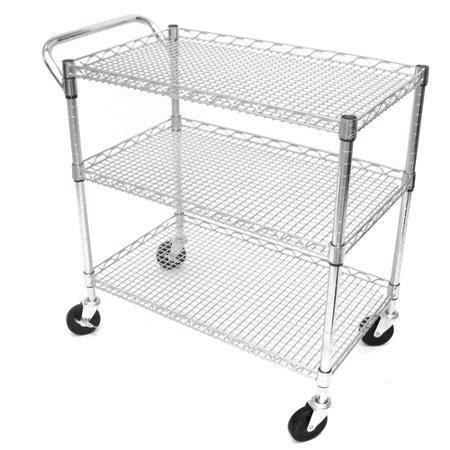 3-TIER ROLLING CART WITH WIRE BASKET. HOLDS 350#. GREAT FOR SERVING LARGE ROOMS. * Please call us with any questions about our cart 3 tier rolling rentals in Lake Charles and Moss Bluff LA.